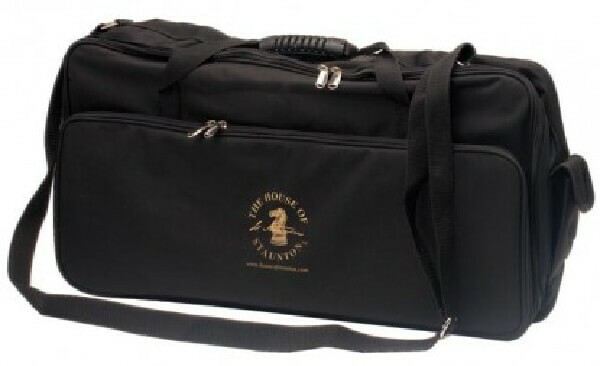 The Deluxe Chess Tournament Bag from the House of Staunton is designed to not only carry all of your tournament equipment, including roll-up chessboards, chess pieces, clock, pencils and scorebook, but can also carry a House of Staunton-brand folding wooden chessboard. It measures 26" x 14", with a strap with shoulder support and reinforced nylon handles for easy transport. It also features a cell phone pocket, mesh drink pocket and large external, spacious zipper pocket. 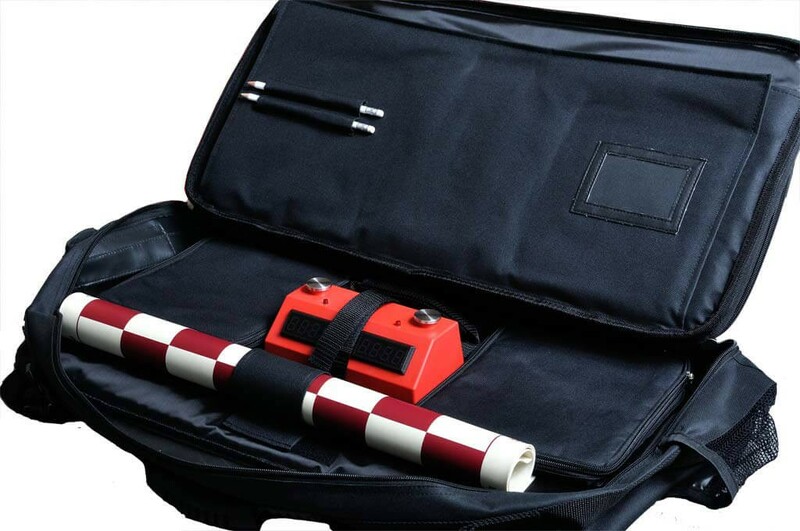 Because of its size, it can also carry chess books, multiple chess sets and other accessories. 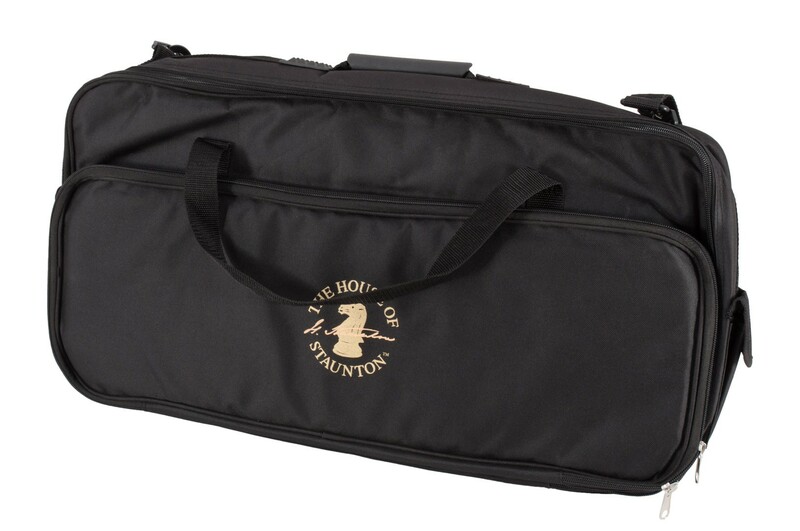 The bag comes with or without the House of Staunton Logo silkscreened on the front of the bag. Black only.